Thousands of 2CONNECT couples have met through our matchmaking service, our speed dating nights, mix n mingle parties, team quiz nights and our walks and trips away. Thousands of dates have been organised and many have progressed into relationships. Read a select number of the stories below. 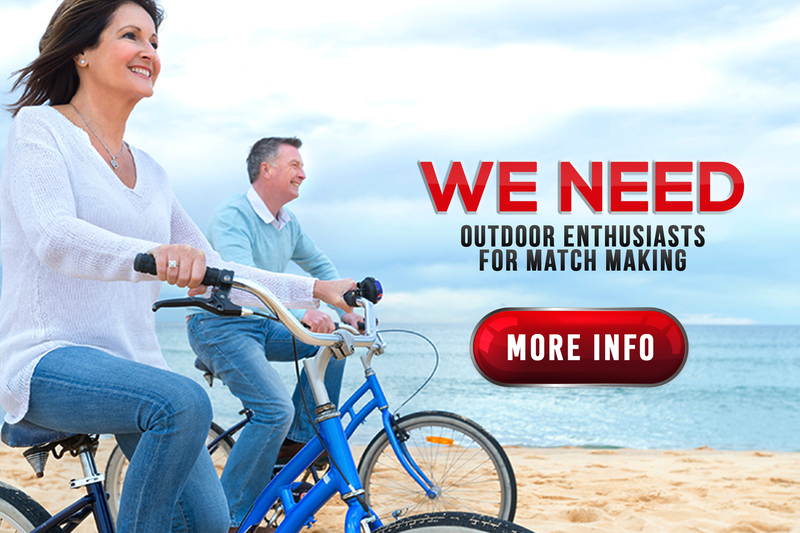 Our matchmaking helps you 2CONNECT! I just want to say thank you to getout.ie for helping Me aka Princess Jen meet my Shrek aka Matt. I joined getout.ie in January of this year in the hope of finding Mr. Right and went on several events which were all very enjoyable but didn’t meet my match at any of the events, then one evening when I least expected it I logged on to the site for the craic and there was a message from Matt, so I responded and then there was a phone call, we both knew after talking on the phone that things were ment to be. We met up the that week end when my Shrek greeted me with a lovely smile and red roses and treated me like a princess, he had won my heart and it was so all so instant and felt so right from the very start. The saying is true “What and Who’s ment for You Won’t Pass You by”. Myself and Michael are so happy and both hope it continues. I would like to take this opportunity to thank Hugh and his team for helping me find this piece of the Jig Saw in my life and hope others find there missing piece in the future. Hope things are well with you. Been a while, around 2010-11 I was a member and went to a few of the events. Well, I wanted to let you know that Bríd, who I initally met at the St Patrick''s day 2011 event you organised, and we are at the advanced stage of planning our wedding for this August coming. What can I say more than that! We often wonder where we would be now if either or neither of us had gone to that Parliament street event. Its Siobhan here from Monaghan, I spoke with you on Thursday night last in Kilkenny. I would like to say the biggest thank you for organising the Colm Hayes & GetOut.ie Singles Party. It was a great nite and we will definatly be looking forward to the next one. Please let us know for any upcoming dates. What a great way to meet new people.You take care and thanks so much again. Great to meet you on sat . Had A great day on the Wicklow Hills . Good bunch of people from all walks of life there. I just attach some photos that came really good that I taught you might like for the webb site . Hope you like them. Thanks again for a chill out day with good company. Thanks Hugh, had a really enjoyable time on the July 4th bbq. There was a great mix of guys there and the event was so well organised. Thanks again and to the team. Hello Hugh & Tara, Just to say that last Saturday night July 4th BBQ Party was very well done, so congratulations on organisining a great night, it was my first introduction to "2CONNECT.IE" so I was pleasantly surprised. I was at other singles nights before but your''s was by far the best.!! Look forward to attending more great nights. Regards, Liam. I would like to thank you for the wonderful event your 4th of July BBQ was for me. I went on the night out of curiousity, and hoping to have a good night out, and it was, the ladies were stunning, and a great mix. It was a nice touch the BBQ, and came just in time! I met some lovely ladies, and while I dont know if anything will happen, I know they are going to be great friends. Your venture continues to go from strength to strength, and did you notice the crowd? Hi there! Great Quiz Night! Friday night at Howl at the Moon! Everybody was so friendly and we had a right laugh! Anyway, the hospitality was fabulous! We reckon we will definitely go to another event like it in the future. Best wishes to Hugh, you made us feel very welcome on Friday night. Hi I’ve been at some of your events recently and had to tell you how much I’ve enjoyed them! All the events were very cool in their own way: I had a great night every time, chatted to loads of people, I was delighted by how many beautiful women were there. Please do it again soon! As you know I have referred some of my mates already and they’ve only had good things to say. It’s great to see that there are so many beautiful single women in Dublin! Keep up the good work! I have had a few days catching my breath after last Friday. I know what it is like to organise these type of events and I had one of the most enjoyable evenings of my dating life. I met someone who I did not expect to meet in the sense of clicking with another peson, which of course totally added to my night. The whole night was fun, well organised and I want to thank you and all your team for your hard work. You have a knack of getting a nice mix of women and men together and you deserve to do very well with the calm, fun and kind approach you have with people. I am one very satified customer and I am spreading the word about you. Thank you again. Thank you Rob, Tara and Hugh and rest of team for a wonderful night last friday at the Ballsbridge Court. What fun everyone had - well I did anyway. So well organised with so many different ice breaker games which really made people mingle...... loved them all. Well done, well organised, great mix of people, delicious food, music brilliant - would def hire/use this dj,.....what more can be said - great company and loved the goodie bags. and keep up the hard work. I would like to thank you and your staff for a great Party. From the moment I walked in until the early hours of the morning. I had a great night. It was lovely to see all style there, It was so well organized and it was great also to see that the men had made some effort as well. I got talking to some lovely people. I did have fun. I would def go again to an event like this again. Most of us head off to Cafe-en-Seine for more fun.Thanks again. Thanks for organising such a great Dinner Dating event at Mc Gowans on Saturday. My buddy and I really enjoyed it and feel that for people of our age it is the way to meet new people. Just want to say thanks for a great day out last Saturday at the Adventure day in Baltinglass, I think the idea is great and it was a super way to meet new people and a great days fun. Looking forward to getting to more of the events and thanks again. I attended a speed dating night recently in Scotts Bar, Oliver Plunkett St Cork. I thoroughly enjoyed the night. From the way it was professionally set up to the quality of people that attended the whole experience was really positive. There was a really nice atmosphere about the night and I met some really nice and genuine people. As a result I and have made some lasting friendships. I would have no hesitation in recommending such nights to my friends. Well done and keep up the good work. After being single for 1½ years and not meeting ANY single guys I’d like to date, I thought I’d give dinner dating a try. I had very low expectations of actually meeting someone special as I had tried a couple of well meant blind dates and had a couple of disastrous experiences. However, on the night I had a really good time. I enjoyed talking to most of the guys even though not all of them were my ‘type’. It was a fun and relaxed atmosphere and I found the face-to-face chat was the best way for me to assess whether I wanted to get to know the guys better. And as it happened I did meet someone pretty cool. We went on our first date 2 weeks after the speed dating night and are now planning some fun adventures together – I couldn’t have found a better way of meeting so many new people. Hi just wanted to share the wonderful experience I had going speed dating with you at Howl at the Moon. Went for the first time with a friend. Wasn''t sure what was going to happen but before long was put at my ease not just the by host but by the really lovely people who I "dated" . Thanks so much will be back and I''m spreading the word ! I had a great time at your speed dating event at the Lincoln Inn. I was nervous because I didn’t know what to expect. Once I arrived the hosts put me at my ease, and when I saw the people arriving I was amazed to see how many good looking guys there were, so I was really excited and couldn’t wait to get dating. It was definitely an experience I''m glad I had and since then I have been on a few dates....so off to a good start. Hi guys, just want to let you know that the event was very well organised and you did very well getting people of a similar age together. Hi there I feel I owe your organisation a big thumbs up. I met my girlfriend at an event in the Kobar Bar. I knew instantly that we had a connection and next day my hunch was right as Paula chose me for a second date. It wasn''t long before we both felt very comfortable and now we are planning a trip to India for 3 weeks together. Good on you guys...I promise to spread the good word about you. Hi there! I was dragged along by a buddy to your recent Lock & Key Party. Absolutely brilliant fun. The ladies were outgoing, interesting and very chatty. I must admit I was nervous at first but the host made us all feel comfortable and then our hunting instincts kicked in. I have had 2 great dates over the past week. Will keep you up to speed on how things progress. Keep up the good work!